Take your kili-kili care to the next level. If you're struggling with dark underarms, you've probably had your fair share of awkward experiences, like feeling dyahe to raise your arms when you're in a sleeveless top. You want to do something to brighten them, but treatments are way above your budget, and the whitening deodorant you're using right now isn't working as fast as you want it to. 1. Cleanse your underarms daily. Take the time to soap and rinse all of the gunk (dirt, particles from clothing, etc.) out of your pits. You can do this in the shower, but make sure to also wash up before you go to bed. If you don't clean them thoroughly, the gunk will build up and make your underarms appear darker. 2. Lessen shaving and waxing. Waxing may leave your kili-kili smooth and hair-free for a longer time compared to shaving, but it's just as bad. Both methods cause friction, inflammation, trauma, and ingrown hairs. If you can, shave only when you have to so your skin will have ample time to recover. Don't forget to shave along the direction of hair growth to minimize friction. 3. Choose a deodorant proven to brighten your underarms. We all know that deodorants protect us against sweat and odor, so choose one that will also make your kili-kili fair in as early as 5 days with regular use. 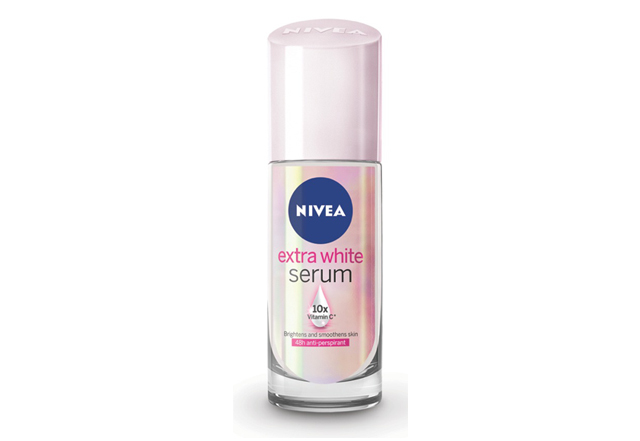 Try NIVEA Extra White Deo Serum, the first of its kind in the Philippines. It has a quick-absorbing serum formula infused with vitamin C and EvenWhite technology. Yassi Pressman uses this deo daily—it's actually her secret to fair and smooth underarms. Time to switch up your kili-kili routine, girl! 4. Wear clothing in breathable fabrics. Denim jackets and fuzzy sweaters may be cute AF, but these fabrics can cause friction against the underarms, causing your skin to thicken (and darken!) over time. It's okay to wear these every once in a while, but try to stick to loose, breathable fabrics like cotton and linen whenever possible. 5. Exfoliate your underarms once a week. Use a wet pumice stone or a soft bath sponge on your underarm area to prevent the buildup of dead skin cells and other particles that don't easily come off with soap and water. But go easy on the exfoliation. Once a week should be enough. Over-exfoliation can cause friction, which can darken your armpits. Visit the NIVEA website and Facebook page to learn more.